The new Nerrols Primary School, currently being built in north Taunton, has appointed its very first head teacher. Rhian Locker, 38, currently deputy head at North Town Primary School in Taunton will be taking over when it opens in September 2019 but will be working alongside interim executive head Mike Snowden in the meantime. It comes as the news is announced that North Town School will be joining the Richard Huish Academy Trust, which will also sponsor Nerrols. “I am excited to have someone of Rhian’s caliber and experience at the helm, particularly as it forges the links between North Town and the other schools within the trust. I have been very impressed with North Town and have always felt the school would fit really well within the Richard Huish Multi Academy Trust. It is forward thinking in its outlook and has aspirations which match those we aspire to achieve for all the schools we sponsor. This was cemented by the recent news that North Town has won two awards – for respecting children’s rights and for commitment to the development of sport – both of which chime exactly with our core aims. Mrs Locker, who lives in Taunton, has worked at North Town since 2006, starting as head of Year 6 before moving to the role of deputy in 2011. Before that she taught at Brookside School in Street. Rhian has two children aged two and six, both of whom attend local schools. 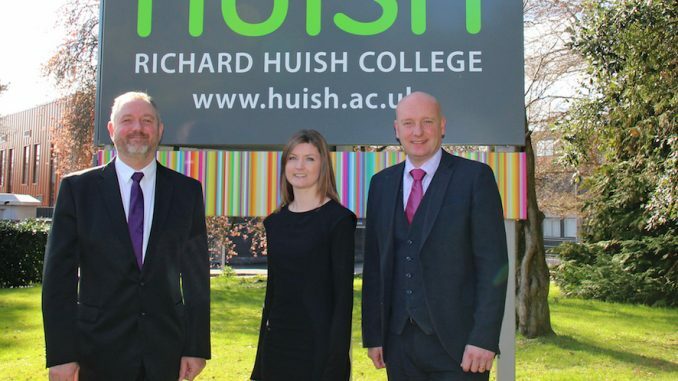 “This is a fantastic opportunity for me to start a school completely from scratch and I believe that my vision for it fits well within the Richard Huish Trust’s ethos. I have been responsible for the success of the curriculum at North Town and I plan to use that as the basis for Nerrols. 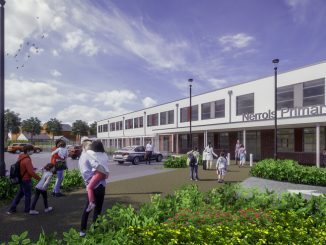 Nerrols school is now looking to appoint its first teachers, as well as staff for the nursery which is also opening in September 2019. Having taken applications for pupils in reception earlier this year, parents are now being asked to express their interest in entering Years 1 and 2. To apply for places at the nursery or for years 1 and 2 visit www.nerrolsprimary.co.uk/admissions.